Are you looking for something interesting to do with the kids this day? Bake a batch of hot, gooey cookies. Keep it relaxed and fun. So what if there is flour all over the counter and floor. It will not take you over a couple of minutes to sweep up the mess after you’re done baking. Have fun together and do not be worried about the mess. In actuality, a little flour fight could be in order. Offer your kid a job or two in making the biscuits. This might be measuring ingredients, assisting you to count how many eggs you’ve added to the batter, and of course plenty of stirring help. Use an extra large bowl when you’re baking with younger children. This will let them stir the batter without half of the dough slinging out. You may get an assortment of all types of cookie cutter shapes in the local discount or craft shop. 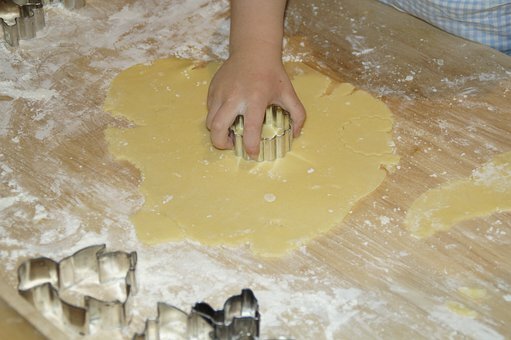 Have them pick some of their favorite shapes, then put them to work cutting out biscuits from dough you rolled out. Of course these biscuits will require decorating. Offer your kid a pastry brush to brush this paste on the baked and cooled cookies, then have them decorate with sprinkles, Animal Removal or tiny candies.